25 years ago, Yitzhak Rabin, Prime Minister of Israel, and Yasser Arafat, Chairman of the Palestine Liberation Organization (PLO) Executive Committee, signed the Oslo Accords in Washington D.C., which marked mutual recognition after 45 years of conflict and the creation of the Palestinian Authority. In 2018, the peace process has reached a stalemate and the two-state solution seems to be less and less of an option. What has come out of these optimistic agreements so far? On the anniversary of one of the Israeli-Palestinian conflict’s turning point, where is the current situation at? 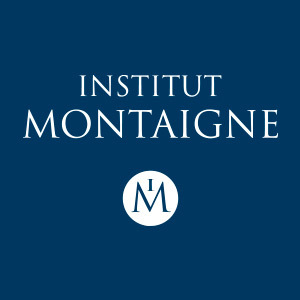 Dominique Moïsi, Special Advisor to Institut Montaigne, analyzes the challenges underlying this anniversary. How important were the Oslo Accords when they were signed in 1993, and what are the main reasons for their failure? The Oslo Accords were signed in an optimist context where all utopias seemed within reach: the Berlin Wall had fallen in 1989, Germany was reunified, Apartheid was over in South Africa and Nelson Mandela gave the impression that reconciliation was possible everywhere. Who would have thought it would have happened so quickly? This is the context in which the Oslo Accords were born. Initially, they were a mere theoretical project formulated by marginal intellectuals who were considering a new approach after the succeeding failures of all previous processes. It then materialized thanks to Norwegian Minister of Foreign Affairs Johan Jörgen Holst’s dedication and commitment. In retrospect, it can quite tempting to claim that these complex negotiations were nothing more than a utopian and dangerous illusion, given that neither Palestinians nor Israelis seemed ready for peace. And yet, having participated at the time in secret negotiations on Jerusalem’s status, nothing could be less certain. While the two sides disagreed on almost everything, they remained no less passionately committed to the cause of peace, and were, in this respect, similar to cousins. Negotiations were led at the highest level by Yitzhak Rabin, the Israeli Prime Minister, Shimon Peres, the Israeli Foreign Minister, and Yasser Arafat, Chairman of the PLO Executive Committee. Yitzhak Rabin’s assassination in 1995 will remain one of the great turning points of the late 20th century. He was the only one able to convince the Israelis that nothing beats peace and that violence had to be stopped, on both sides. Everything changed after his death. Shimon Peres’s authority was no longer respected as he was quite unpopular at the time, and only became one of Israel’s founding father 20 years later. Meanwhile, Yasser Arafat was not willing to make any further compromise. Oslo was thus a utopia that could have worked, but Yitzhak Rabin’s assassination kept these agreements at the utopian stage, and directly led to Benjamin Netanyahu’s election and to a more nationalistic, religious and uncompromising exercise of power in Israel. The situation has changed little since then. The latest developments in American politics have definitively buried the hopes raised by the Oslo Accords. These agreements embodied faith in the peaceful, balanced and harmonious coexistence of two states, with two capitals located in Jerusalem. Trump’s America contributed to making the two-state solution impossible. The actions the American President has undertaken so far are ideologically close to Benjamin Netanyahu's policy and directly opposed to the spirit of the Oslo Accords. One could say that the United States’ current policy only reinforces a development spread over time, and thus supports the Israeli occupation, since territorial expansion has made the two-state solution obsolete, if not extraordinarily difficult. In fact, the second intifada launched in 2000 is also telling of the failure of the Israeli left, which believed in peace and felt betrayed by this second uprising. The growing power imbalance linked to the Palestinian side’s division also contributed to making the two-state solution increasingly hypothetical. The only hope that remained has now been crushed by the American policy’s recent evolution, as it is now fully aligned with the positions defended by Benjamin Netanyahu's government. In reality, even though it might not be openly stated, the two-state solution no longer exists. Do you think that other powers such as France, Russia, Turkey, or even the European Union, could endorse the role once played by the United States and lead new peace negotiations? While the United States may be very close to Israel, other countries also have relationships with the Jewish state - most notably Russia. Vladimir Putin and Benjamin Netanyahu have indeed developed a trusting relationship, which is all the more understandable as their common Eastern European origins explain their intellectual proximity. In addition, they share a common vision, with some reserves regarding democracy and the law of the strongest. Other Asian powers - be it China, India, or even Japan - are also developing their relations with Israel. This is problematic for Europeans, as they still depend on Asia. Whether for geographical, historical or demographic reasons, this dependence influences their relationship with Israel as well as their inertia in the Israeli-Palestinian conflict. On the one hand, Palestinians, who feel let down by too many unfulfilled promises, no longer believe in Europe. On the other hand, Israelis with European origins neither believe in Europe nor want to have to depend on this continent for their security again. The trauma between Jews and Europe lies very deep, be it because of the Shoah or the pogroms and the Dreyfus affair. While the current majority may not allow any country to replace the United States in its privileged relationship with Israel, it is all the more difficult for a European country like France to present itself as a credible alternative, or even as a trusted partner. We must start from the premise that our goal is not to resolve the conflict, but rather to limit the risks of a possible further increase in violence and instability. Yet, last Spring, on the Gaza border, none of the hundreds of Palestinian victims retaliated in an intifada-like movement. For the time being, fatigue and despair seem to outweigh their willingness to revolt. Like a cancer that would develop without any treatment, the Israeli-Palestinian conflict is likely to escalate, given that the latest law on the nation state just granted Israeli Arab civilians the status of second-class citizens. Crucial Days in the Middle East: What Strategic Consequences?